I do Angel Card Readings every single day to receive guidance for my personal growth. For a period in time, I kept drawing the card of Archangel Metatron. This card asked me to clear my chakras with his help. I did not take this guidance seriously and kept putting off working with Archangel Metatron for several days. But like all card readers would know, you keep drawing the same cards until you follow the guidance being given to you. I drew the card so many times that I finally decided to work with this mighty Archangel. Archangel Metatron heals with sacred geometric shapes and uses a tool that some refer to as a “Metatron Cube”. In order to facilitate healing, he passes his cube right through your energy body. The cube rotates as it moves through your energy field and clears toxins from each of your chakras. When I finally used the Metatron cube to heal myself, I found the results to be quite amazing. I could feel the cube clearing away all toxic energies as it rotated. Since then I have begun to take the assistance of Archangel Metatron and his sacred cube during some Reiki healing that I know would benefit from this additional help. If you have pressing issues with any of your chakras or would just like a thorough cleansing of all your chakras, you will benefit from working with Archangel Metatron as well. This technique can be easily incorporated with your daily routine of Reiki self healing. You will not need to use this technique every day. You can use it once every few days depending on the health of your chakras. Trust your intuition and use it when you feel like. Call upon Archangel Metatron to assist you with clearing your chakras. If you work with angel cards and have the Archangel Metatron card with you, you can place it close to you during the healing. Visualise the Archangel and his cube. Do not worry too much about the visual details. Your intention to connect with the Archangel and his cube will ensure that you are connected. Visualise the Archangel sending his cube towards the top of your head. Visualise the cube spinning inside your crown chakra. Intuitively scan the chakra for traces of toxins. Feel these toxins being cleared by the spinning cube. Next move to the third eye chakra and repeat the same process. Similarly, move the cube through each of the chakras and allow it to work on each one, thereby clearing every chakra of toxic debris. Trust your intuition. Let the cube move as it wishes to. There is no strict rule to be followed as to which chakra must be cleared first. You may find the cube moving randomly from chakra to chakra and also moving back to do more work on chakras that were already cleared. Do not analyse. Just go with the flow and relax. You will not make a mistake when you trust your intuition. Once you feel that you are done, thank the Archangel for his assistance with this healing. Proceed to do a full body Reiki healing as usual. There is no limit to the number of ways in which we can heal ourselves. It is always nice to experiment with different techniques and absorb the benefit that each technique has to offer. The beauty of Reiki lies in its flexibility. It can be incorporated with most other techniques and it works so beautifully. If you like healing with the angels, you are sure to enjoy working with Archangel Metatron and his sacred cube! Kumar, cube in this case refers to a tool for healing (like the one you see in the image). It is made of geometric shapes that are considered sacred and powerful. The cube of Metatron is not just any cube, it is a very specific geometric figure with specific qualities. You can google it to see how it looks. I hv not done Angel Therapy, though I hv completed my reiki 4 degrees. Can I use the same technique explained by you? Yes you can use this technique. Love and Light! Thank YOU! I too work with Angels and Angel Cards. The more reiki we do on ourselves we are always guided by our intuition. Once again thank you for sharing. Bless U! Haripriya, I have always enjoyed reading and learnt from your articles. Do you ever come to Mumbai? Would love it if you are conducting a session. Thank you for your feedback. I am currently teaching only in Bangalore. So, if you ever come here, you are most welcome to come over for a session or class. You also have the option of doing it over a distance. Can you use Metatron’s cube in a healing Reiki session with someone else? Yes, you can if you are guided to. It’s all about what your intuition tells you. Trust it. Thank you Haripriya for sharing this technique. Thank you Haripriya, could I visualise for my client or would they have to do it for themselves? Love & Light. how does one explain angel existence/energy/roles to someone who has no knowledge of angels via culture or religion? I know this question is like how do you prove the divine but I’ll put the caveat that there is a belief in the divine. I’ve worked with the energies and feel comfortable however when discussing Karuna Reiki with a non-Christian friend I was a bit stumped to explain outside of a religious context. What a beautiful way to clear the chakras! I love it. I clear my chakras daily in my own way. I can’t wait to try this clearing with the AA Metatron, who happens to be my favorite angel. Thank you so much! Thank you Haripriya, for your teaching of clearing of chakras with Archangel Metatron. Very interesting. I’ve got a lot of work to do. I do Angel card readings. This will be interesting. Thanks so very much. Thank you Haripriya for this new technique which I shall be trying out right away! Thank you Hari Priya for sharing this technique of healing. Looking forward to trying same for me. Also would like to inform you that this article serves as an answer to some of my experience. I recently channelled Reiki for my brother – his first Reiki experience. During the session he said that a box/cube swooped through his mind then turned itself inside out. He found the experience very relaxing and thought provoking. I have not had feedback suggesting this particular thing before and did not invoke Archangel Metatron’s assistance before the healing. Would you say that possibly Metatron’s Cube was at work here? Thank you for the lovely gift. Holiday blessings. Thank you for this beautiful article. My root chakra is affected… Yrs I will definitely make this a part of me now for cleaning my charms. Thanks n god bless u…. The first time I did this exercise with A A Metatron it felt like a bulldozer going through my body, it was so powerful I was vibrating for about 30 mins, and it took me 2 or 3 days to recover from it. But after that I began to feel wonderful, so I guess I had a lot of stuff that needed clearing. I have worked with Metatron since, and never experienced that initial force again, it was always a gentle feeling unlike the first time. I realize your comments were a year ago but I would like to offer a suggestion that should anyone find themselves vibrating, feeling anxious, excitable or unable to sleep or concentrate following any energy healing, you need to ground yourselves right away. It is not unusual to feel at peace yet energized after a Reiki treatment, but you should not feel over energized, as it is harmful to the mind/body. Visualise regrounding yourself, hold any of these: black tourmaline, jasper, pyrite or apache tears or other grounding stone. Step into a shower and revisualise connecting to Mother earth if the other steps don’t help you. Or contact me lightjouleshealing@gmail.com. I love working with the Arch Angels, but we are responsible for own health. Thank you to Haripryia for this teaching document from 2014. 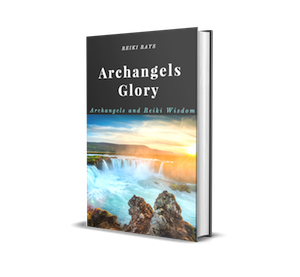 It is most informative but needs to be updated as Lightworkers are finding new help from their Angelic guides that is more advanced in knowledge. This information is not disrespectful to Haripryia but is advancing on the understanding of what she has shared and what is now to be known. Working with Arch Angel Metatron using the Metatron cube works in the present deep on a cellular level as well as with the chakras. If you have worked the Metatron cube through all your chakras, it should not be necessary to go back and do a full body Reiki. Your Intent to channel divine energy at the beginning of your session and your invocation for Arch Angel Metatron’s help are the only steps you need to take, then envision as the cube works its way to where it is needed or wants to go. My channeled angels say that you only need to invoke Arch Angel Metatron’s help once. It is unnecessary to do this exercise twice as it will not gain benefit. As always when you work with the Arch Angels you should acknowledge and thank them by doing a Cho Ku Ret symbol at the end of your session. The symbol is a form of sacred geometry that is respectfully thanking Arch Angels and acknowledging their help. Say once draw in your mind looping the eternal sign three times. Jan. Living with Light Joules Healing. Lightworker/Reiki Master 061818 PS: I would like to share that my Angels have shared that the next time Lightworkers will benefit from the AN NAIS ( the formal name for the whole collection of angelic energy/angelic guides ) and their teaching/Sharing is through our children’s children. Once the present Lightworkers are gone we will have to wait. Write down and share by written and oral word so none is lost.